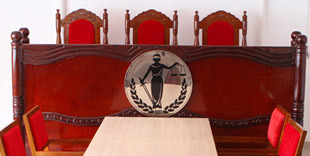 CSI College for Legal Studies, Kanakkary, Kottayam (CSICLS) is a self financing law college affiliated to Mahatma Gandhi University, Kottayam and approved by the Bar Council of India. The courses offered in CSICLS are Integrated 5 year B.A.LL.B. B.Com.LL.B and LL.M(Commercial Law) programmes. B.A.LL.B and B.Com.LL.B programmes require a study for ten semesters in a period of five academic years. LL.M programme requires a study for four semesters in a period of two academic years.The medium of instruction and examination is English. 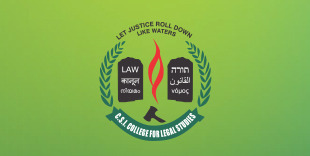 CSI CLS aspires to cater to the growing demand for skilled legal professionals who are capable of meeting the challenges of the emerging legal order and also committed to ethical values of the profession. 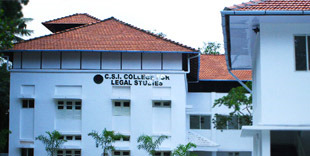 CSI College for Legal Studies seeks to stay ahead as a centre of excellence in the sphere of legal education.